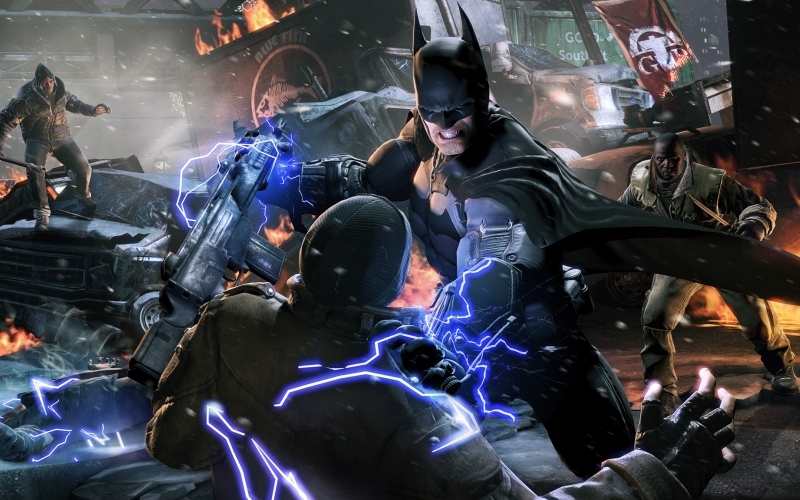 Batman Arkham Origins is a good game, except it feels uninspired and plays it overly safe. Its predecessors—Arkham Asylum and City—were incredible. The first one came up with some amazing ideas and a very slick system for Batman that still feels modern. The second expanded to an open-world environment. This one, quite sadly, just appears to ride on the successes of the two. 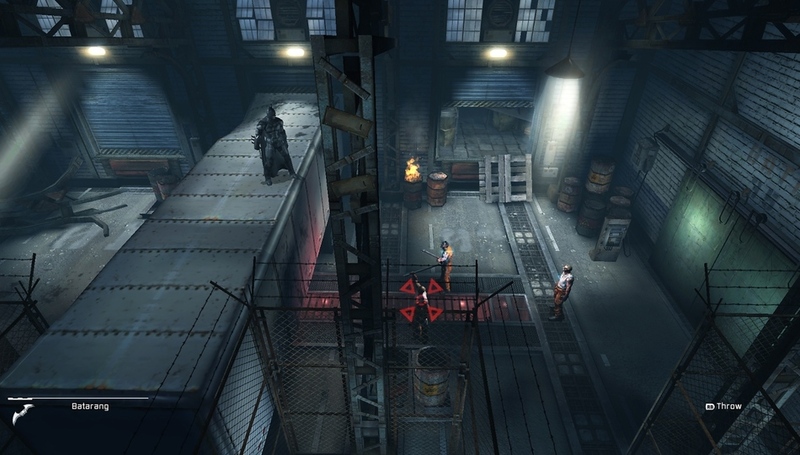 Origins’s Gotham City feels like it’s going through an existential crisis. There are no people on the streets, and the ones that are there are either criminals or cops, both of whom want to whack you. All of this is explained through it being Christmas Eve and a curfew being mandated. It simply feels lifeless and drab. In sharp contrast, Asylum was claustrophobic and teeming with dementia, and City was filled with opportunity. Despite the lifelessness of the city, all the Gotham landmarks are there in glorious detail. It’s quite massive as well and is home to quite a few spectacular set pieces. There are various side missions and collectibles spread throughout, too, which will undoubtedly appeal to OCD gamers. The side missions feel organic and make sense within the context of the game. Gameplay is split into a couple of different categories. Combat, the primary one, is pretty much the same, but now there’s an added emphasis on using gadgets and weapons mid-combat. However, they aren’t very fun as they are designed to only hinder, not finish the job. The game still throws tons of enemies at you and offers only a couple of ways to take them out. As a result, combat encounters turn into exhausting marathons of punch-counter-punch, repeat ad nauseam. The game carries over the series’ predator levels, too. They’re still fun to play, and the levels become progressively more challenging as you progress. Detective work is the other part of the gameplay, and there’s not much depth to it either. There are only a few of them strewn throughout the game. They play like Remember Me’s memory mixing levels, which were absolutely amazing in design. Arkham Origin’s detective levels play it safe. They don’t have red herrings that can lead you astray. Instead, you only get to scan evidence and look at reconstructions of crime to figure out where things went. There was only one in the narrative itself that was a joy to play through. Finally, the upgrade system doesn’t really give you anything cool. The most important bits were the armor upgrades (read: health) and blocks/counters. Most of the stuff were given at certain points in the story. There are no new cool moves to unlock, and the gadget upgrades aren’t honestly worth it. Having said all that, I must say the writing was incredible. The narrative is as strong as they come. While it’s slightly muddled and confused at first, the story picks up its pace and strength once the clown prince of Gotham takes center stage. It’s set five years before the events of Asylum, so it features a younger, rawer Batman who is more of an urban myth than a household name. He must battle eight assassins on Christmas Eve. The assassins aren’t exactly boss fights that punctuate the campaign. Some of them are straight-on fistfights, some are multi-level puzzles, and some are non-encounters. They’re not all fun or impressive to play, but they add variety and unpredictability to an otherwise linear campaign. Also, they make sense within the context of the narrative. Coming back to the story, Origins chronicles Batman’s first fateful encounter with the Joker—it’s an epic meeting of the minds (and fists), so to say. The story is subtle and builds up towards a white-knuckle climax that has a surprising amount of psychological depth. The usual host of characters make the cut—Alfred, Barbara Gordon, James Gordon—and they all have important roles to play. But then the Joker shows up and steals the show with his charisma and flamboyance. The Joker’s mesmerizing when he’s on-screen. The writers have dived deep into his psyche to explore his relationship with the Dark Knight, and it’s terrifyingly brilliant. Troy Baker, who plays the makeup-adorned antagonist, voices him with passion and fortitude that can only be compared to the great Mark Hamill. 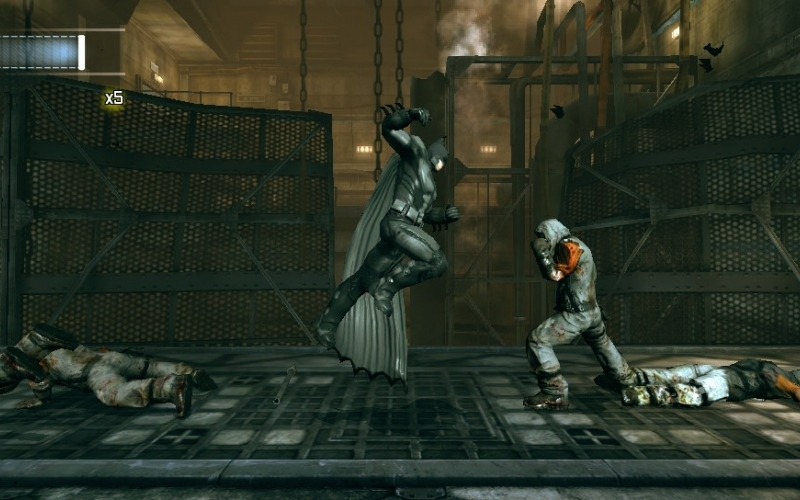 Arkham Origins isn’t really a bad game. 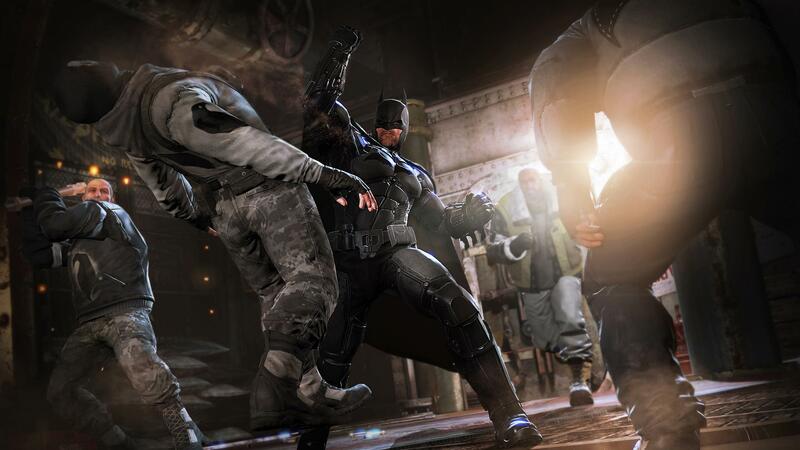 It manages to capture the fundamental feeling of being Batman—the combat, detective work, angst. Sadly, it doesn’t do a great job of building upon its predecessors. Other than the story, there’s not much to be excited about. I enjoyed it but felt it could be so much better than it is right now.